Similar to the photography genre of the same name, this trend offers the sexiness of tasteful lingerie. 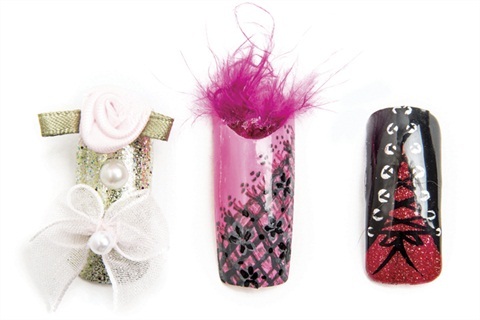 Nails by (left to right): Bonnie Huffman, Beauty Brands, Wentzville, Mo. ; Bobbie Taylor, Head 2 Toe Salon, Humboldt, Iowa; Alyssa Brubaker, Gelousy Nails inside Utopia Salon, Merill, Wis.